SBC is currently transitioning to a new online giving provider. By partnering with VANCO systems, processing our online giving donations will be simplified through their GivePlus+ program. If you already donate to Second Baptist Church through online giving, please take a moment to cancel your account through BlueFire (old giving platform). Thank you for your generous and faithful support of the mission and ministry of Second Baptist Church. 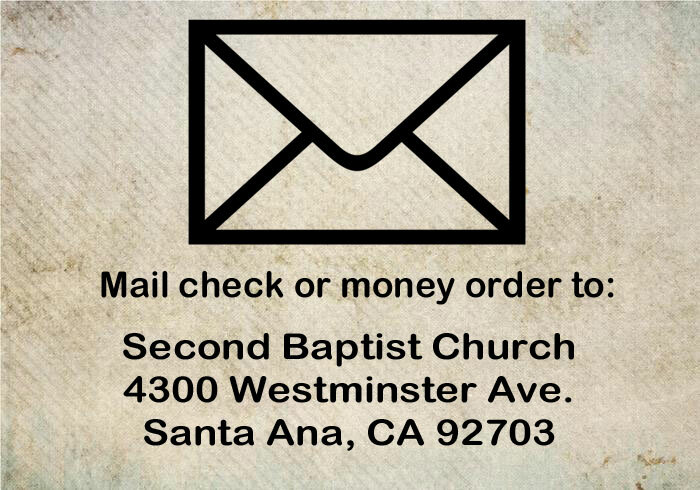 For additional assistance with using the site, please email giving@sbc.family or contact the church office. Yes. We utilize the most up to date security methods to ensure that credit card and banking data are not compromised during transactions. 714-604-4300 is still active to give everyone time to learn the new text-to-give number, which is 714-942-1543. Your contribution to 714-604-4300 will still go to Second Baptist Church. Recurring donation requests allow you to have a stated amount automatically withdrawn from your bank account or charged to your debit card weekly, biweekly, or monthly. It provides not only a secure, paperless and convenient option, but allows you to establish a disciplined giving pattern. Used within the parameters for which they were originally created, debit and credit cards can be an efficient tool for payments and purchases. Many people utilize them in place of checks or cash throughout the month, and then pay off the balance in full. 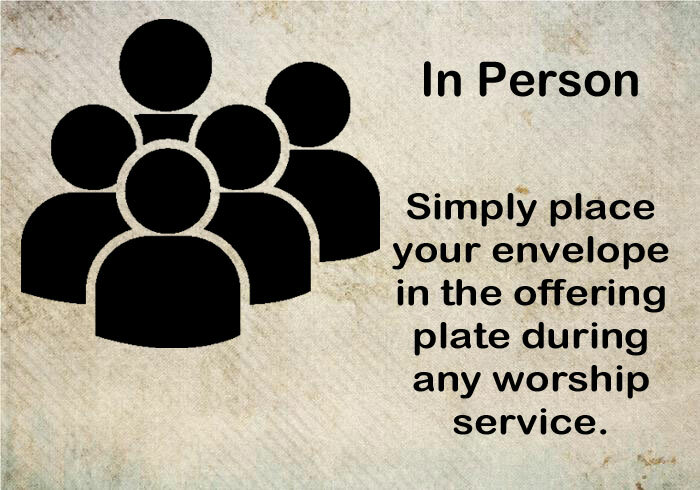 For these people, we offer the option of using a credit or debit card to tithe. We strongly discourage those who have ongoing credit card debt from exercising this option. Cash contributions must be received or postmarked by December 31 to be included in your giving statement for that year. Online and/or mobile transactions must be initiated by December 31. We're here to help. Just contact us at: giving@sbc.family.